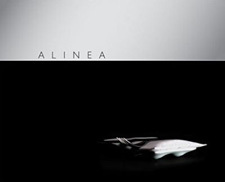 Alinea At Home: Brushing away the cobwebs.... and sharing some big news. Brushing away the cobwebs.... and sharing some big news. Hi, you guys. Bet you've been wondering where I've been. 1) I've had to take a break from cooking because I'm having some health issues. It's nothing serious or fatal or life-threatening. But, it's weird and (frustratingly, once again) diet-related. The experts are sorting everything out and beginning to uncover some odd triggers that are making certain numbers in my bloodwork go all wackadoo, thus affecting my baseline physical health. I'm ready to turn my body over to science because I feel like a lab experiment with all the tracking and measuring and poking and prodding and scanning and needles and testing. I'll share more details when I have more information (in case anyone else out there has/has had the same symptoms) and when I know more about what my food future will look like. 2) One thing I do know about my food future is this: I am writing a book. With Mike Isabella. And I couldn't be more excited! You might know Mike from Top Chef and Top Chef All-Stars. Or, you might know Mike because you ate at Zaytinya when he was executive chef. Mike's new restaurant, Graffiato, opens this week, and if you're in Washington or you're visiting my lovely city in the future, I hope you'll add Graffiato to your must-eat list. Mike and I have already begun working on the book -- his wife, Stacy, is doing all the recipe testing -- and I can't wait for you to read it and cook from it. Off to the grocery store on Thursday morning, and back to cooking this weekend. I can't take it anymore. I miss my kitchen. I miss this blog. I miss all of you. So, get ready for some English peas and ham and lavender, and my attempts to make my own tofu. After which, if I buy a hackeysack, join a drum circle, and braid my armpit hair, please come rescue me. Please. I BEG YOU. Thank goodness you are back! I was getting a bit worried! Looking forward to your new book and sending positive thoughts your way for a speedy return to health. I just saw this on Graffiato's site news as well and rushed over to see what you had to say! This is great - congrats and looking forward to getting this book! If you start braiding your armpit hair, better get the doctors to take a closer look at that bloodwork...I'm pretty sure that's a sign of some serious pathology. Hope they figure whatever it is out soon, and that it turns out to be a quick fix. Congrats on the book deal! Feel better soon. I had to stop cooking for several weeks (different reason) and found it very disconcerting. It feels good to be back in the kitchen. Congratulations on the book; I'll look forward to reading it! I'm sending positive vibs your way; I hope you're feeling better soon. . .
Wow - amazing news about the book! If anyone deserves a book deal, it's you. And...so sorry that you're having health issues. I hope things get fixed soon! Feel better soon, Carol! I'll light a candle in my church and pray that you'll not have to avoid too many more foodstuffs on top of gluten. Big hug and congrats to the book! Glad to hear you are alive! Sad to hear you have been sick. I've got my chopsticks crossed that you will bounce back swiftly. And speaking of chopsticks (how's that for a segue? ), I think your next project should be cooking your way through an Asian cookbook. You've done 2 cutting-edge European-based cookbooks. Asian should be an interesting new challenge. Yay! you're back!! Missed you! Wow - what exciting news! As a long-time follower of your blog, I can't wait to read your writing in book-form - especially as it captures the no-apologies voice of Chef Mike. I can't wait for the book. Congrats! So glad you're back. I was getting a tad worried! Super book news to balance the sucky health news. I'm going to try to get a res at Graffiato this Saturday night. Am I dreaming? Hope you're feeling better every day. I read you all the time tho I don't make many comments because sometimes I just can't keep up with your readers but this time I feel compelled to say "fantastic and great and yes I am jealous' to be able to write a cookbook and have collaboration. Also if your health is diabetic related I can give u my 20-odd years of experience keeping this disease under control without changing your lifestyle. LIke I said before, CONGRATULATIONS! Very exciting news, and I can't wait to see the book. I have no doubt it will be awesome. I'm also very excited to see you cook one of the dishes I did. I really, really love this dish. No "lavender air" for me, though. I can't even imagine the looks my shift partners would have given me over that one! Several elements of this dish have become semi-regular jumping off points for my cooking, though. So much going on. In the dish, and for you! Fingers crossed that the health issues get resolved quickly and without significant impact. Homemade tofu? Holy cripes, I can't wait for *that*! Glad all is on the way to being better. Congrats on the book and good luck with your health. I wish you wellness. As for homemade tofu, I've never made it myself but recently switched from Wildwood organic (definitely good stuff) to Hodo Soy's tofu and the difference in taste is amazing. I'm thoroughly hooked and that's as close (probably) to homemade as I'll get. I'll look forward to reading about it. You can be a tofu-meatatarian with ease - I am. Congrats on the exciting book news and best of luck on a speedy diagnosis and path to feeling better. I look forward to your tofu posting - something that has always fascinated me and I am sure your recap will both enlighten and amuse! Ah, Carol, we'll miss ye. May all your health problems end. Or at least get under control. I've wondered where you've been. I'm sorry it's health issues that have kept you away. Lots of good wishes to you; I hope things are sorted out soon. Finally, a book! I can't wait to see what you and Mike come up with. Congratulations!